Custom engineered large format battery packs for robotics and mobility product OEMs requiring specific performance characteristics are being introduced by Aved Electronics, Inc. of North Billerica, Massachusetts. Aved Robotics Battery Packs provide clean voltage with a typical < 10% deviation, 1000 plus cycles, high pulse up to 100 A, and capacities from 24 V to 200 V (10 A/hr.to 100 A/hr.) and up to 4 kW, depending upon the application. Custom designed and built to OEM specifications, the battery chemistry and cell selection are optimized with respect to voltage, cycles, pulse rates, capacity, charging, and mechanical packaging requirements. Featuring rapid charge times of 1 hr. 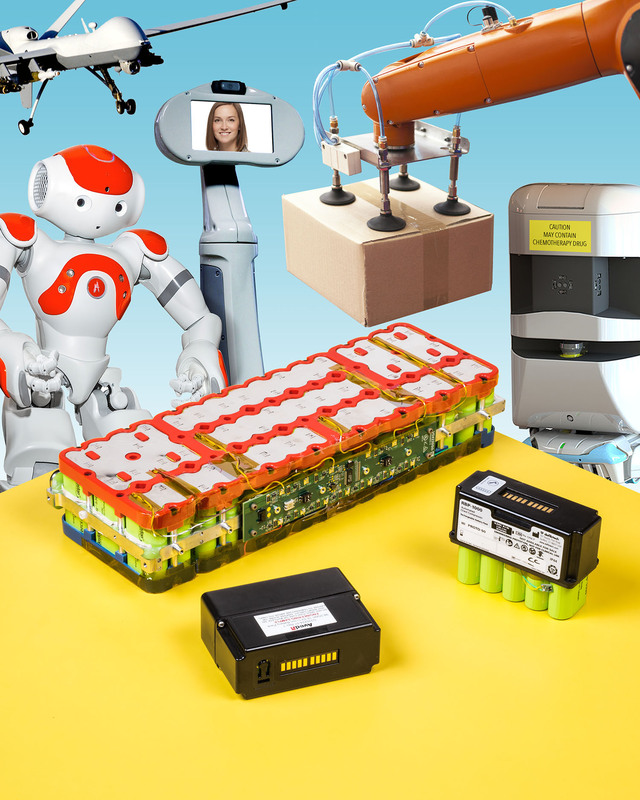 to 85% where required, Aved Robotics Battery Packs include battery management systems and complete end of line testing to 4 kW. Fully integrated applications include humanoid robots, medical carts, unmanned vehicles (UAVs & HROVs), and mobile robotic fulfill- ment systems. Typical battery packs include Li-Ion, Li-Poly, LFP, and primary lithium technologies with cells supported by leading manufacturers. Aved Robotics Battery Pack price quotations for OEMs are available upon request. The firm is ISO 9001, ITAR Registered, and Veteran Owned.